​All available directly from the add and modify user tools, in a simple user interface. No shell cmdlets necessary. Don't let Microsoft's design choices limit your productivity. 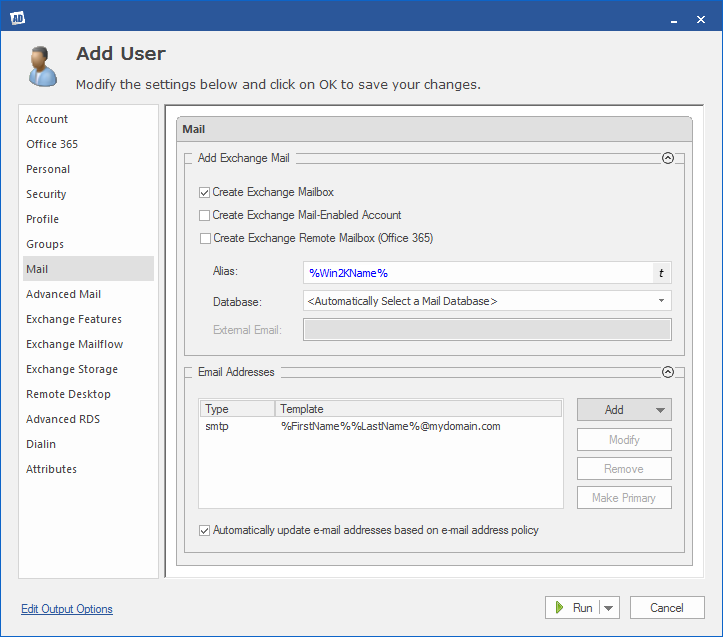 Do all of your user provisioning at once, even Exchange provisioning, with ADHQ.